Apple earnings may disappoint investors because of a marked deterioration in Chinese demand for iPhones, Goldman Sachs says. 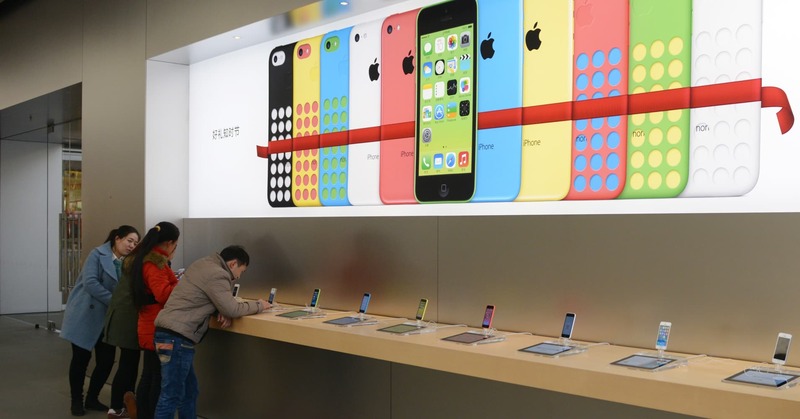 “There are multiple signs of rapidly slowing consumer demand in China which we believe could easily affect Apple’s demand there this fall,” Goldman analyst Rod Hall said in an investor note Sunday. Though Hall admitted that the smartphone market in China showed some signs of improvement in the second quarter, his forecast for third-quarter unit sales shows a decline of 15 percent year over year. While the analyst expects Apple’s latest phones — including the larger XR and XS Max — to counter some of the softening demand, the overall decline in phone demand could be costly to CEO Tim Cook’s bottom line. Hall’s current projections set Apple diluted earnings per share at $11.78 for the current fiscal year and $13.77 for 2019. Shares of Apple fell 1.6 percent Monday morning following the Goldman note, but are up 29 percent in 2018. Apple’s bigger smartphones “could at least partially offset negative macro indications though we doubt it completely solves the problem if Chinese consumer demand continues to be weak as we move through the critical holiday buying season,” Hall said. In a worst-case scenario for Cupterino, California-based Apple, the calendar fourth-quarter earnings per share could end 4 percent below Goldman’s current estimate, the analyst said. Hall has a neutral rating on Apple shares and his 12-month price target of $240 implies 8 percent upside over the next year. The analyst said his current December-quarter iPhone unit estimate of 80 million units includes 13 million from China, or 16 percent of total iPhone units. That’s down from 19 percent from China in the December 2017 quarter and 18 percent in December 2016.